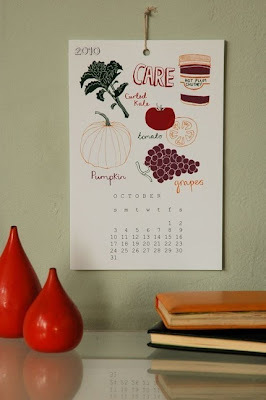 So, as you know, calendars have been blogged about everywhere this season and for good reason. There are so many wonderful options, I've been paralyzed with indecision. I decided that a wall calendar for my office would be my most essential calendar need and I think I finally found the ONE. Yup, the ONE I can commit to for a whole year (which, if you know me, is not an easy venture). I found this beauty by Claudia Pearson on Poppytalk Handmade and it was love at first site. 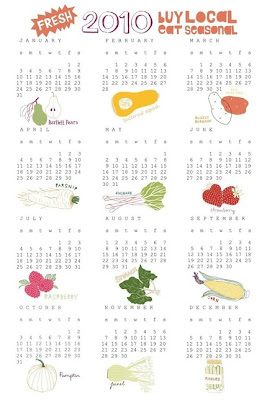 B and I have made it a point recently to buy more local food and support our local farmers so this calendar would be a good reminder to myself and anyone who comes into my office that buying local is important! Now I just need to decide if I want the poster or the set. 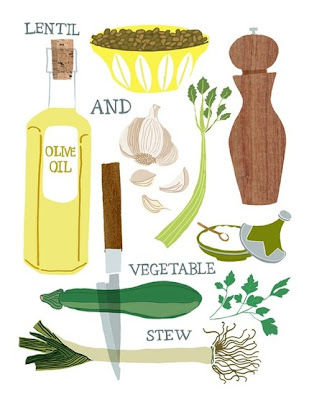 I also adore the other food prints available in the shop. 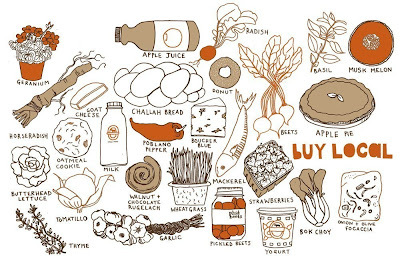 How do you support your local economy? ...#78! That would be Crystal Ball! Congrats! I'll be contacting you shortly. Thank you Beth for such a lovely giveaway! Be sure to check out Beth's shop when you're considering your holiday gifts this year! I love the buy local print... The design and the colors! I think the set is marginally cuter than the poster, just cause you get more detailed drawings! These would be so cute in a kitchen or dining room. Or heck, anywhere really. Congrats to the winner. I don't have a kitchen 2010 calendar yet but I do have my office calendar! Please check out www.yesandyes.org and support Sarah, it is so cute! I bought it last year and loved it - although it is probably more geared towards the northwest.